Heat oven to 350°F. Wash peppers. Cut off the tops and remove the seeds. Parboil the peppers in a large pot of water until semi-cooked but still firm. Remove from water, drain and let cool in a colander. Add onion, meat, rice, egg, paprika, salt, and pepper in a bowl and mix well. Stuff peppers with meat mixture. 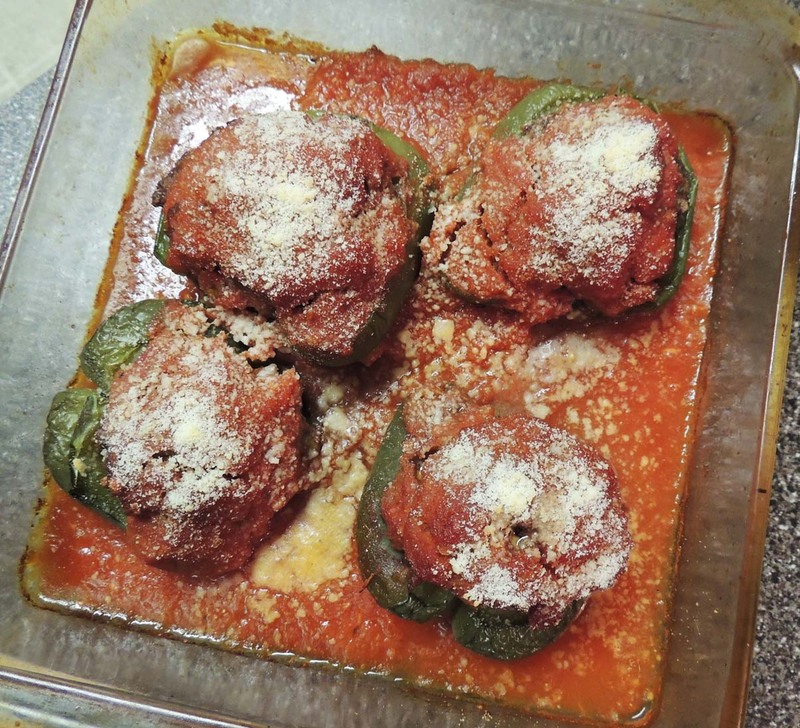 If you have any leftover meat filling, you can form it into meatballs and cook with the peppers or freeze. Spray an 8 inch square baking pan or 1 qt casserole dish with cooking spray. Place peppers in the pan and pour the tomato sauce over. Sprinkle with cheese and bake for 1 hour, 15 minutes or until a thermometer registers 165°F.